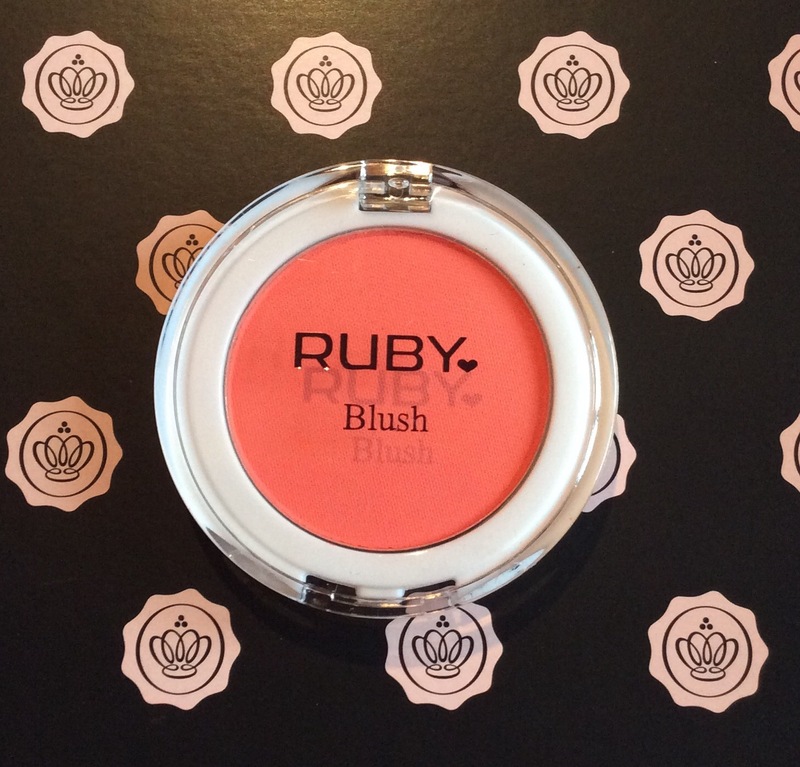 I received my May Glossybox last week. Although I have not got a chance yet to try all the products properly, just wanted to let you know my first impressions. 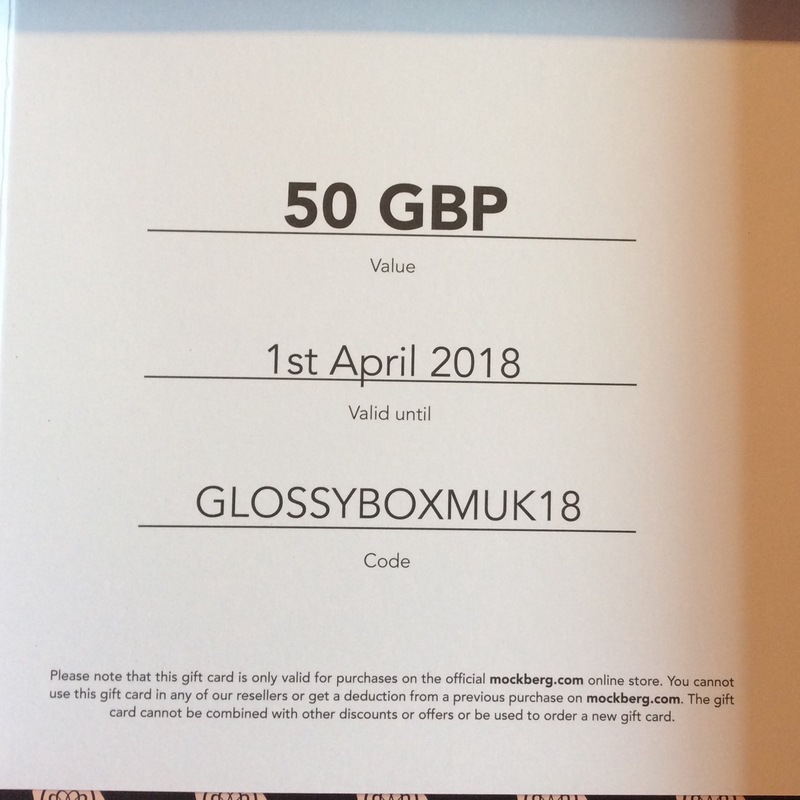 Glossybox is a monthly beauty subscription box which costs £10.00 (plus p&p) per month and 3, 6 & 12 monthly subscriptions are also available. 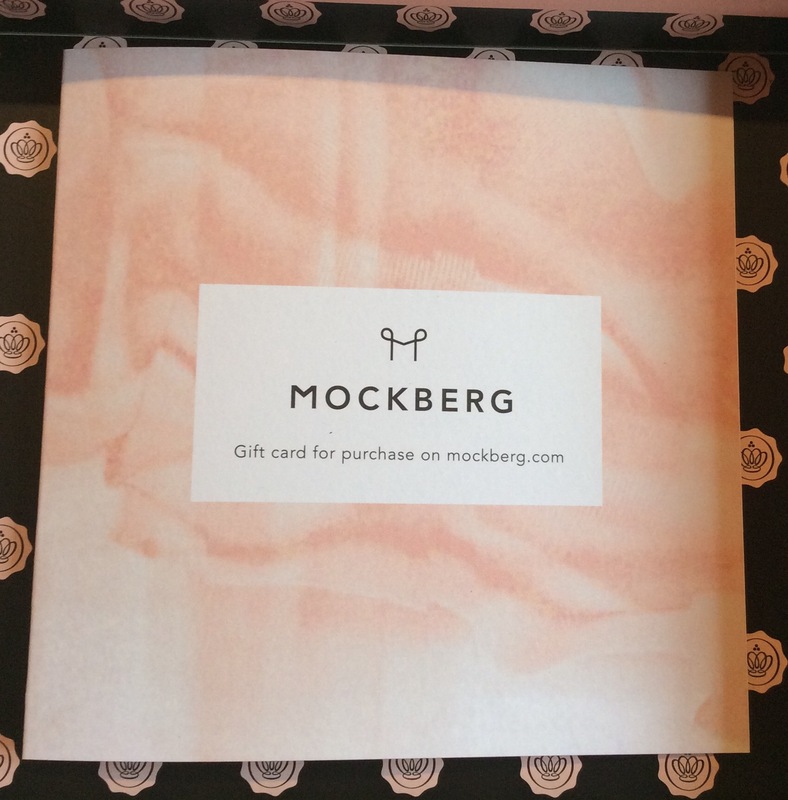 Five personalised beauty products are included each month which are normally sent wrapped in pink tissue paper with a black bow in the signature pink Glossybox (as advised previously there are also Limited edition / collaboration boxes throughout the year). You can sign up through my referral link here if you want and then you will get 20% off your first box when you subscribe. 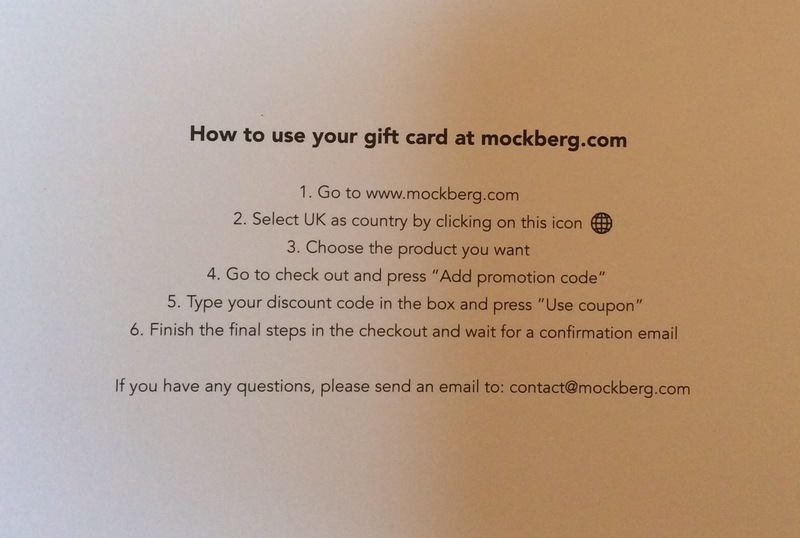 and bonus item this month was a £50 gift voucher for Mockberg – when you use the code GLOSSYBOXMUK18 @ http://www.mockberg.com you can get £50 off (watches). Although the box is good value this month and will use all the products (with maybe the exception of the eye brow pencil, if application does not improve), was not overly excited with any of the products this month. 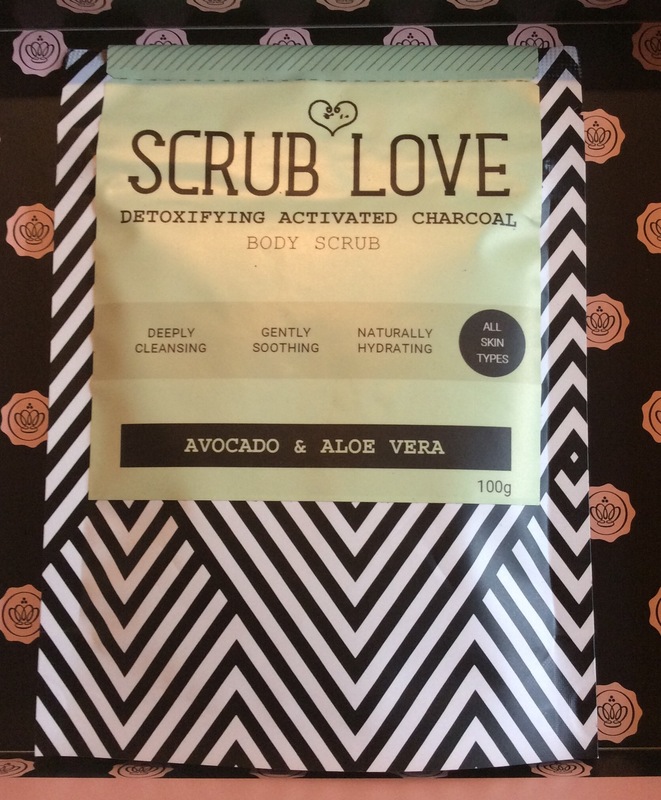 However excited about the sneak peek product for June (below). 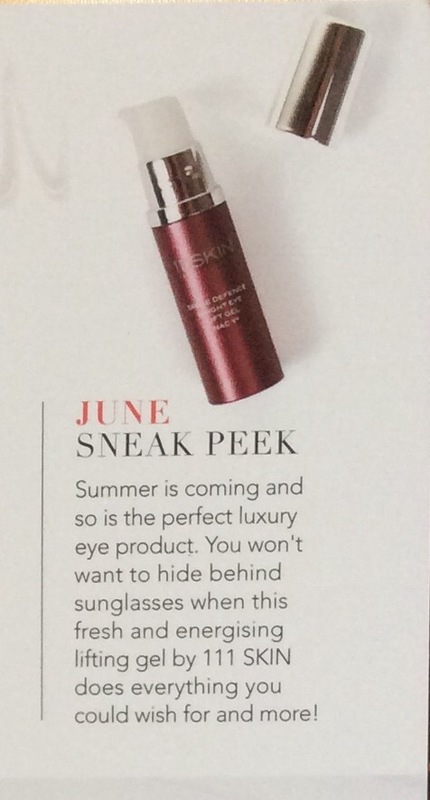 *SPOILER* – June Sneak Peek – states that you won’t want to hide behind sunglasses when this fresh and energising lifting gel by 111Skin does everything you could wish for and more – not sure what size will be included but 111Skin is a high end brand and have been wanting to try more of their products, so perfect timing.